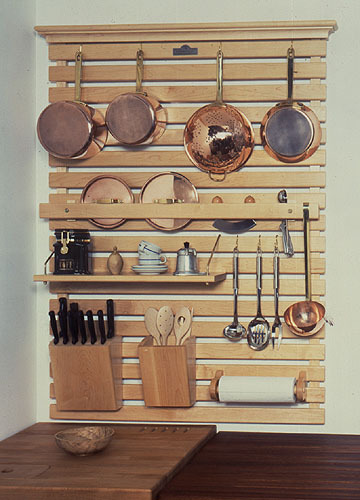 Kitchen Wallrack Storage. 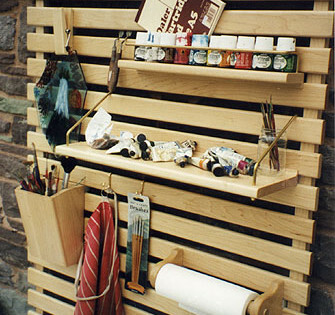 A versatile wooden wall rack. 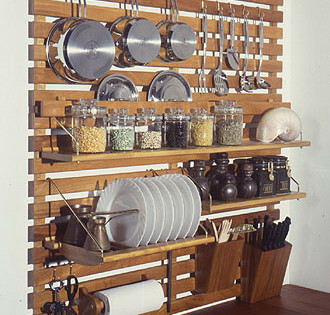 Having the things you need easily to hand makes any job easier; this is never truer than when cooking. 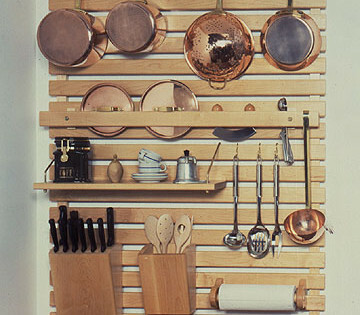 Getting that soufflé to rise or that sauce to thicken can be hard enough without having to search through draws for the right spoon! 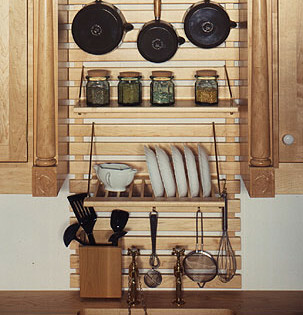 As standard, the Kitchen Wallrack features many specially designed add-ons for storage for saucepans (with their lids!) 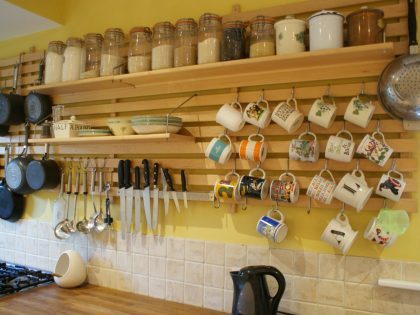 knives, wooden spoons, and 101 other tools and utensils in exactly the same way a good mechanic stores his spanners, wrenches and screwdrivers. 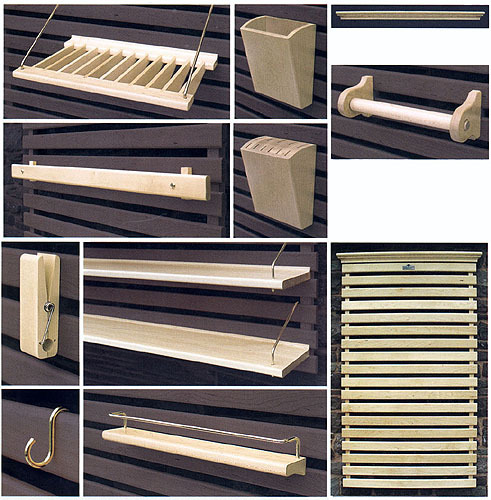 The Wallrack is 1285mm tall and comes in three widths – 600mm, 900mm and 1200mm. 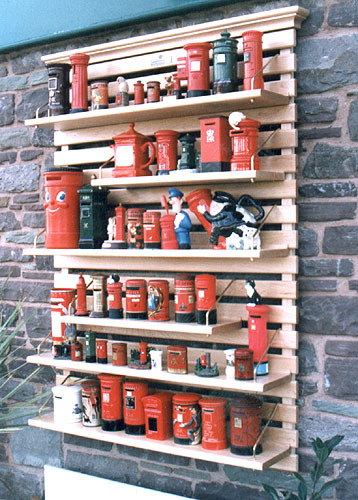 Other sizes can be supplied to a special quote. 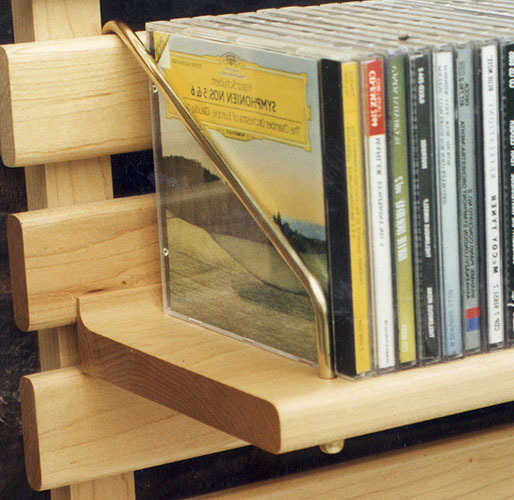 The Rack is available in solid Iroko, Maple or Oak. 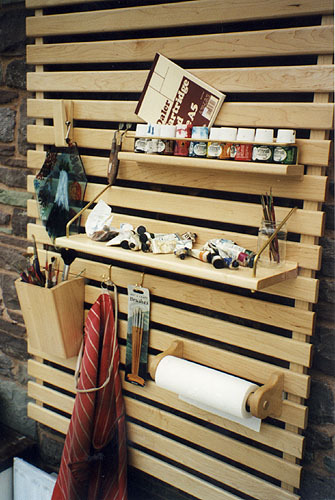 It cannot be overstated how practical and versatile the Wallrack is!